Okay, you’ve got a great spec script – Now what? You’ve got a great spec script or two and you’ve hit that familiar wall – no submissions without representation. You’d like an agent or manager. You’re wondering about the route to follow in obtaining representation. Do agents and managers have a checklist of what they’re looking for before signing on a new client? How do you get their attention? How do you show you’ve got what it takes to be a valued client? With or without an agent, you’ve discovered you need to get meetings on your own. How are you going to do that? And once you’re in those hallowed offices, how do you turn a meeting into a coveted assignment? 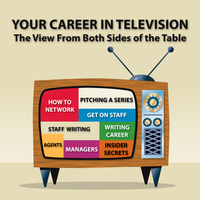 You’ll learn all about “taking a meeting,” Hollywood style, from both points of view - You’ll hear what an exec who’s taking the pitch expects and what a writer who’s pitching does to prepare and deliver a pitch effectively. You might be surprised to find out it’s simpler (but not necessarily easier) than you imagined. You’ll learn about different ways to pitch, depending on the genre and seasonal arc of the series. Even more important, you’ll find out, first hand, about things you should never do in a pitch. Once you get an opportunity to do an assignment for a television series, you’re going to want to make the most of it. 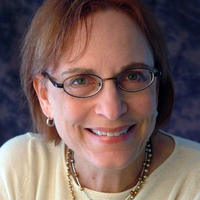 You want to move from a “baby writer” to story editor and upwards! From your first script to working on staff, the writers room is its own world with its own rules. Discover what’s expected from freelancers and first time staffers, learn the guidelines for making your contributions count, and a philosophy of collaboration that can lead to creating a series of your own! 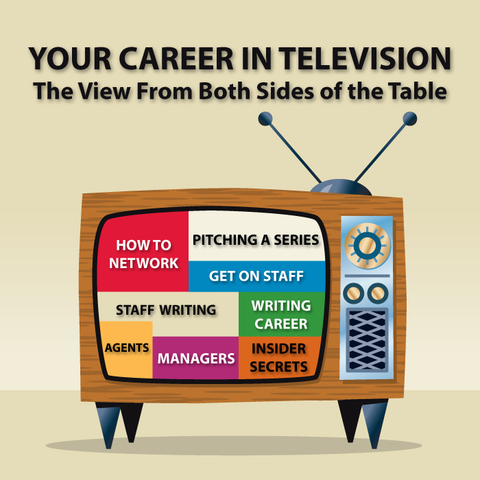 With years of experience on “opposite sides” of the table, Ellen and Kathie will give you a 360° view of the writer’s place in television today. Do they agree? Possibly. Do they disagree? More than likely. But one thing’s for sure—you will get a 360° view of the writer’s place in television today!